From public areas, to guest rooms, and everywhere in-between hospitality environments, hotels are looking for the edge in style, performance, and lasting first impressions. Only Table Tops and Wilsonart have recently put together a collection of engineered surfaces that reflect Nature’s Neutrals, a key design trend for hotels. 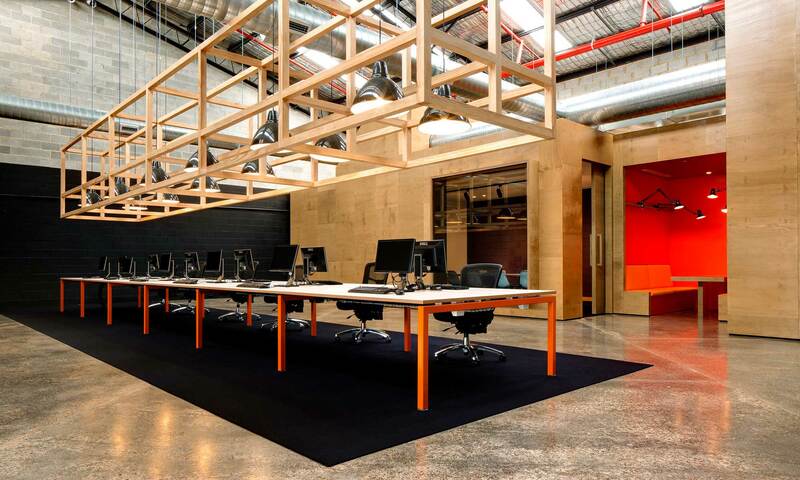 With a heavy emphasis on beautiful wood designs and pops of color and graphics that offer the designer unique solutions to create engaging spaces. Read on to see learn more about the top hospitality table top trends. Nature’s Neutrals begin with wood. Our Wilsonart® HPL Laminate collection showcases high-performing wood designs in a range of colors and rich textures that rival nature. Wilsonart® HPL Laminate designs outperform traditional veneer and TFL for impact and scratch resistance. This can play a key factor in adding high traffic surfaces to hospitality environments. Although the cost is slightly higher, Only Table Tops’ Wilsonart® HPL table tops will last and look better for far longer and are available in hundreds of additional colors with matching Edgeband and Moldings. 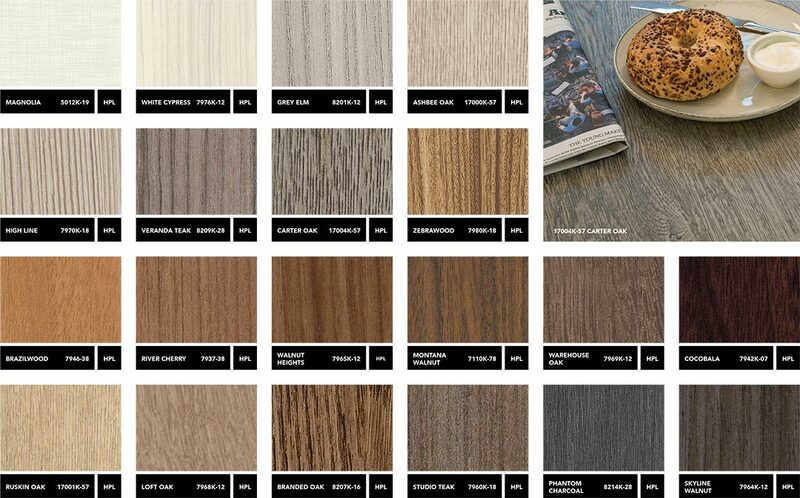 Therefore, our #1 hospitality table top trend is Wilsonart® High Pressure Wood Grain Table Tops Available in over 300 designs, 14 finishes, and performance types for special applications. Guests demand unforgettable experiences during their travels, and as an interior designer or architect, it’s your job to make that happen. They want to experience local culture, local food and local life. Curated experiences designed around travelers’ specific interests from food to wellness are now commonplace. Only Table Tops and Wilsonart offer an expansive offering of one-of-a-kind designs, including these 10 options that celebrate individuality. Mixing popular local style and color is quite easy when there are over 807 colors of table tops to choose from. These are just a few to inspire your senses to achieve more in your designs. 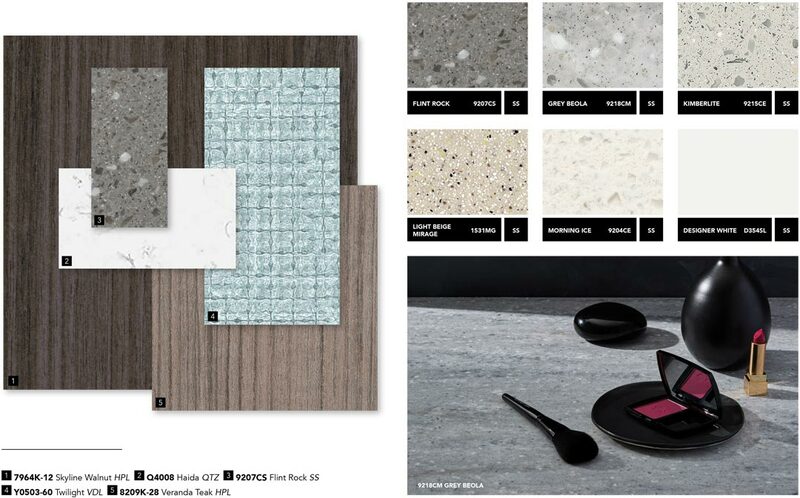 Therefore, our #2 hospitality table top trend is Wilsonart® HPL Mixed Materials And Colored Table Tops. Available in over 800 designs, 14 finishes, and an evolving online library with virtually unlimited HPL designs, they give you the ability to give travelers the experience they deserve. Solid Surface table tops have been around for over 50 years and are gaining much popularity in hospitality environments. What might have once been considered trendy is now so established that few table top materials, have managed to achieve the same status. Solid Surface is a perfect mid-range table top material. Buyers not interested in laminate but still looking for an affordable table top often gravitate to solid surface. Solid Surface is a non-porous surface that’s stain, water, and scratch-resistant, tough, durable, and doesn’t require sealing. Only Table Tops can craft virtually any size or shape table tops to your specifications using Our Wilsonart Solid Surface Collection. We also work very hard to keep up with the latest offerings of all Wilsonart Solid Surface designs and collections. If you don’t see a design in our library, simply call us at 888-274-TOPS (888-274-8677), and we will be happy to get a quote out to you quickly with the lead time for you project included. Therefore, our #3 hospitality table top trend is Wilsonart® Solid Surface Table Tops. 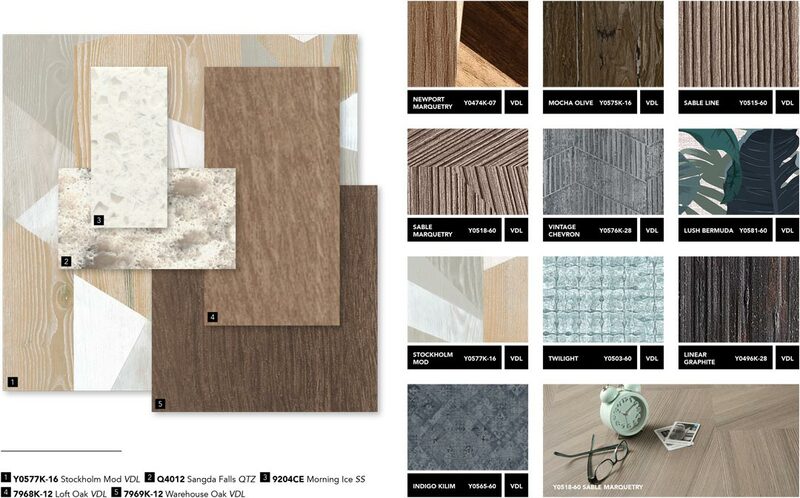 Currently available in over 74 designs, Solid Surface features stone and woodgrain-inspired looks with an enhanced color palette fitting for a variety of hospitality interiors. These hospitality table top design trends will have a significant impact not only in 2018 but also in years to come. We will continue to embrace change, new technology, environmental responsibility and holistic design, and shift toward creating unique, authentic and memorable experiences for our traveling friends. And, Only Table Tops will continue to offer the latest engineered surfaces for your hospitality table top project. To get started, simply call us at 888-274-TOPS (888-274-8677).